The very popular WoW PvE competition will return this year. 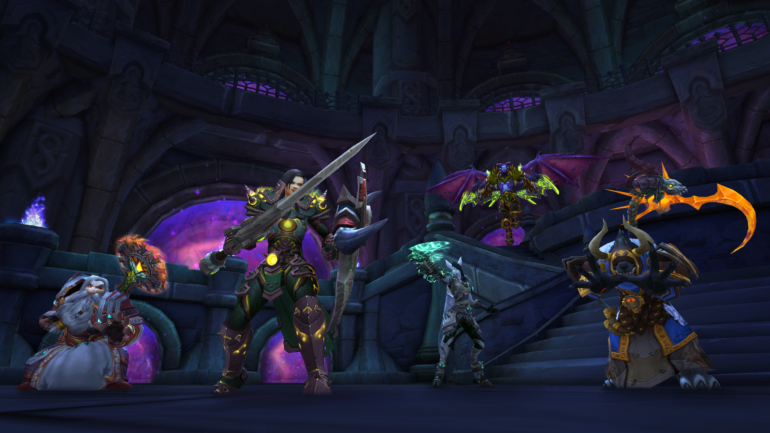 World of Warcraft’s popular dungeon-crawling competition, the Mythic Dungeon Invitational (MDI), is returning in 2018, according to Blizzard Entertainment’s announcement on Friday. The MDI kicked off in 2017 as the game’s first attempt at a dungeon-based esport, with a $100,000 prize pool and a worldwide bracket-style tournament. In Blizzard’s announcement, the developer said it “couldn’t wait to kick it up a notch” for the second season of the tourney. In WoW, Mythic dungeons are leveled dungeons that parties of five players must complete within an allotted time limit. For most players, Mythics offer loot and keys used to unlock more challenging levels. Higher level Mythics offer greater chances for better loot, and some players just want their keys upgraded so they can climb as high as they possibly can on the Mythic ladder. In this tournament, teams from each region compete to finish each dungeon faster than the competition in order to advance to the next round. Last year, after forming a team and completing Mythics as fast as possible, your team would then apply to compete in the tournament stage of the competition. The best applicants would be chosen to represent their region, with a total of 32 teams spread over four regions—China, Asia-Pacific, Europe, and the Americas. This year, however, things will be different. For starters, there will be way more teams. During the first stage of the event, Mythic dungeon teams will attempt to beat certain time limits in their runs, and any team that beats the time will be allowed into the next stage, rather than needing to fill out an application and be vetted. Once in the next stage, the teams will compete against one another to decide who moves onto the bracket stage. The top eight teams from each region at the end of the allotted dates will then move onto the elimination phase specific to their region, and the winners of those will move onto the global tournament. Dates and size of the prize pool for this season of the MDI have not been revealed.